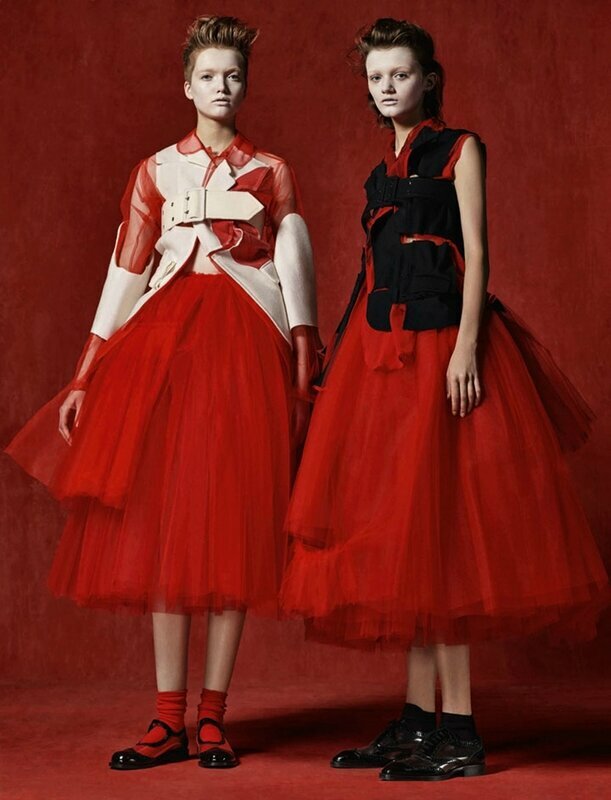 NEW YORK - The Metropolitan Museum of Art’s Costume Institute spring 2017 exhibition, Rei Kawakubo/Comme des Garçons: Art of the In-Between, on view from May 4 through September 4, examines Kawakubo’s fascination with interstitiality, or the space between boundaries. 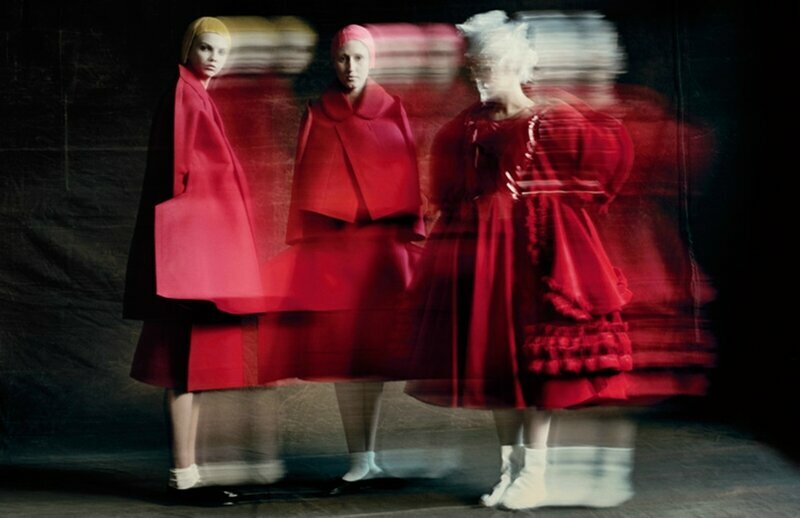 In Kawakubo’s work, this in-between space is revealed as an aesthetic sensibility, establishing an unsettling zone of oscillating visual ambiguity that challenges conventional notions of beauty, good taste, and fashionability. A thematic exhibition, rather than a traditional retrospective, this is The Costume Institute’s first monographic show on a living designer since the Yves Saint Laurent exhibition in 1983. 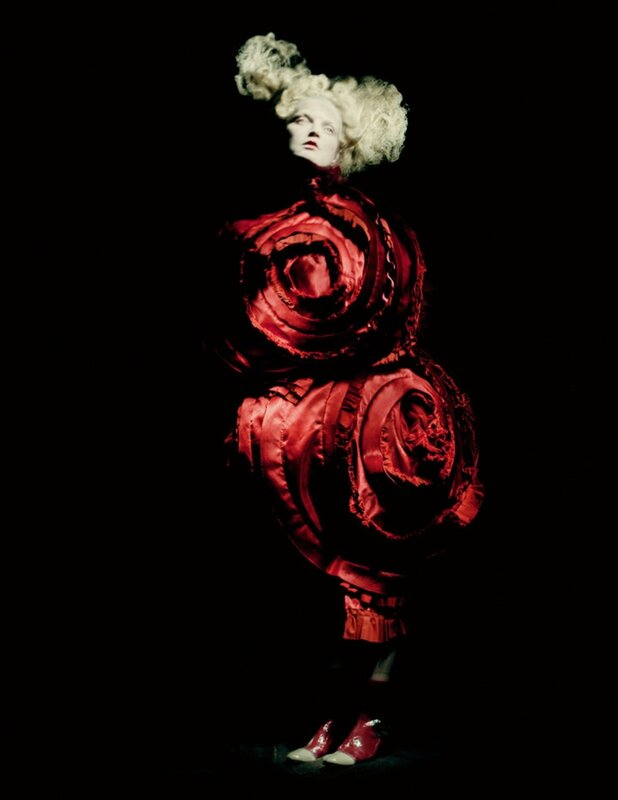 Rei Kawakubo (Japanese, born 1942) for Comme des Garçons (Japanese, founded 1969). 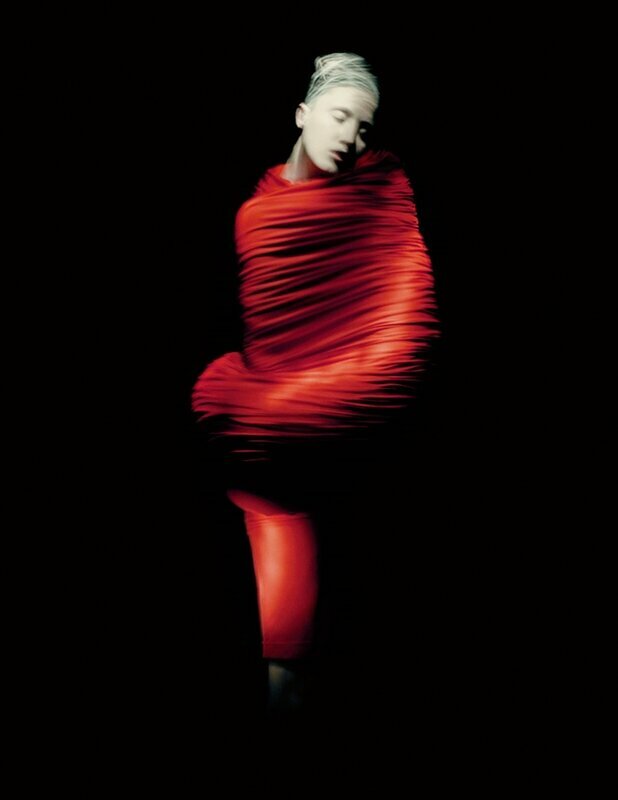 Body Meets Dress–Dress Meets Body, spring/summer 1997; Courtesy of Comme des Garçons. Photograph by © Paolo Roversi. In celebration of the opening, The Met's Costume Institute Benefit, also known as The Met Gala, will take place on Monday, May 1, 2017. The evening’s co-chairs are Tom Brady, Gisele Bündchen, Katy Perry, Pharrell Williams, and Anna Wintour. Rei Kawakubo and Ambassador Caroline Kennedy will serve as Honorary Chairs. The event is The Costume Institute’s main source of annual funding for exhibitions, publications, acquisitions, and capital improvements. 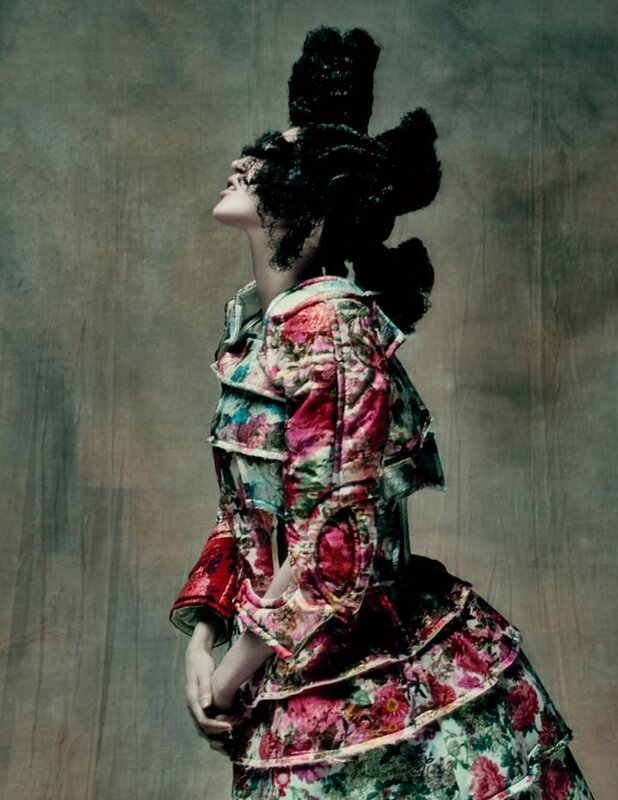 Rei Kawakubo (Japanese, born 1942) for Comme des Garçons (Japanese, founded 1969). Blood and Roses, spring/summer 2015; Courtesy of Comme des Garçons. Photograph by © Paolo Roversi. Not Clothes. Kawakubo breaks down the imaginary walls between these dualisms, exposing their artificiality and arbitrariness. 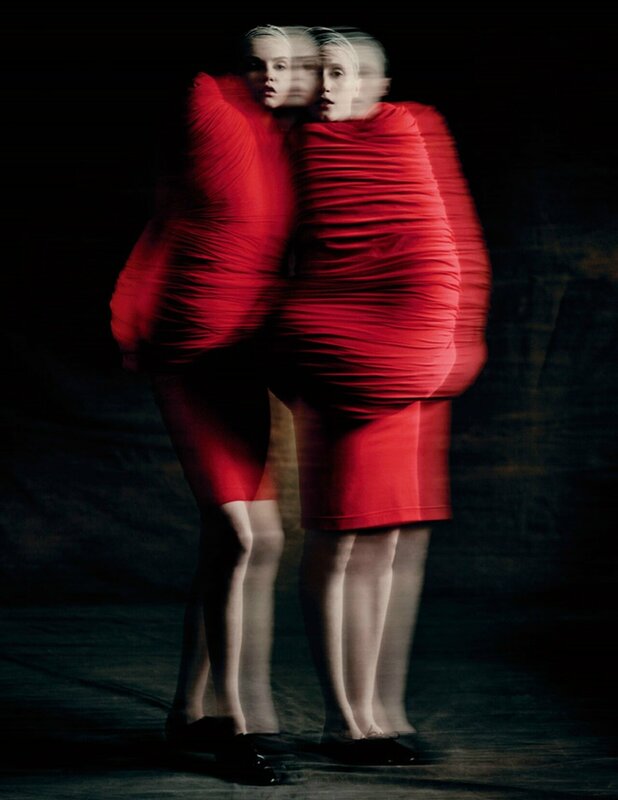 Her fashions demonstrate that interstices are places of meaningful connection and coexistence as well as revolutionary innovation and transformation, providing Kawakubo with endless possibilities to rethink the female body and feminine identity. 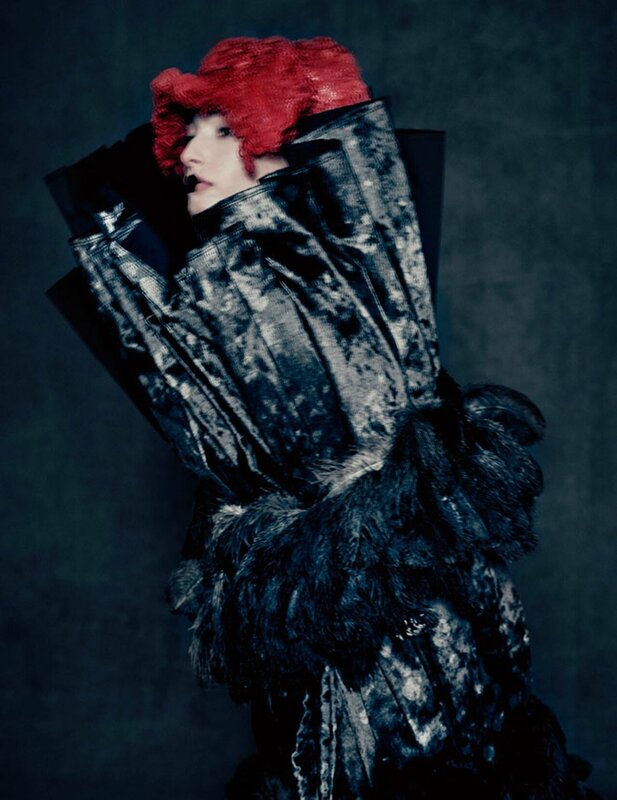 Rei Kawakubo (Japanese, born 1942) for Comme des Garçons (Japanese, founded 1969). 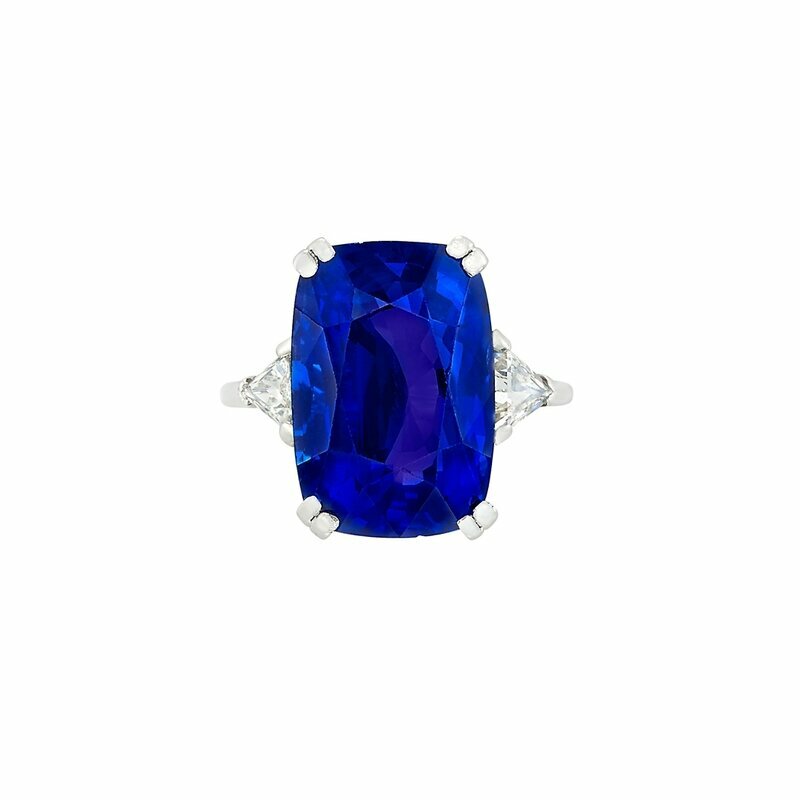 Blue Witch, spring/summer 2016; Courtesy of Comme des Garçons. Photograph by © Paolo Roversi. The spare space has no text on the walls—instead, at the entrance, visitors receive an exhibition guide with gallery text and object labels. A publication, Rei Kawakubo/Comme des Garçons: Art of the In-Between, authored by Andrew Bolton with creative direction and design by Fabien Baron and Yuki Iwashiro of Baron & Baron, accompanies the exhibition. It features new photography by Nicholas Alan Cope, Inez and Vinoodh, Katerina Jebb, Kazumi Kurigami, Ari Marcopoulos, Craig McDean, Brigitte Niedermair, Paolo Roversi, and Collier Schorr. A rare interview with Rei Kawakubo and a chronology of her career, amplified with quotes from the designer, provide additional insight into her aesthetic and career. Published by The Metropolitan Museum of Art and distributed by Yale University Press, the 248-page hardcover book has 205 color illustrations and comes in a slipcase with a pullout poster of a Paolo Roversi photograph that was shot for the publication. It retails for $50. The work of Kawakubo will be explored in relation to other creative practices from a range of perspectives in a Sunday at The Met program on June 18 from 2 to 3:30 p.m. The event, in the Grace Rainey Rogers Auditorium, is free with Museum admission. A special Teen Summer Studio, July 17–21, invites teens to create pieces inspired by the exhibition. 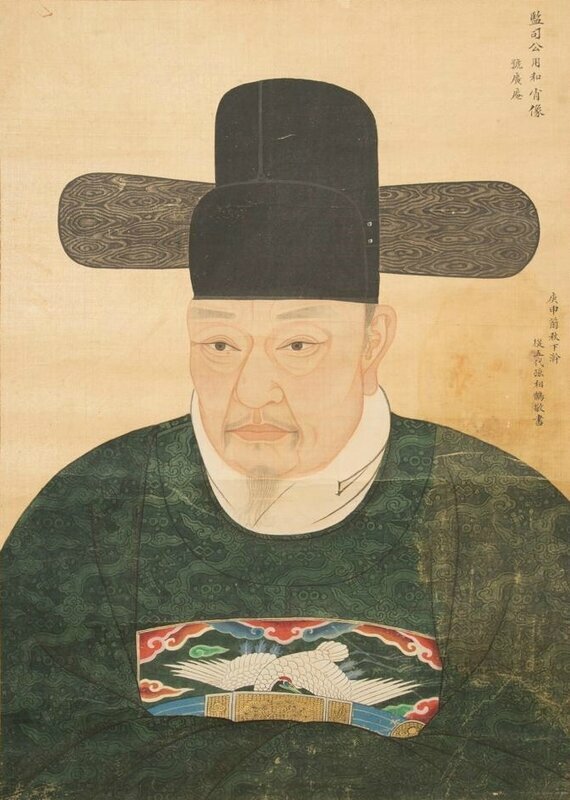 For details, visit metmuseum.org/teens. 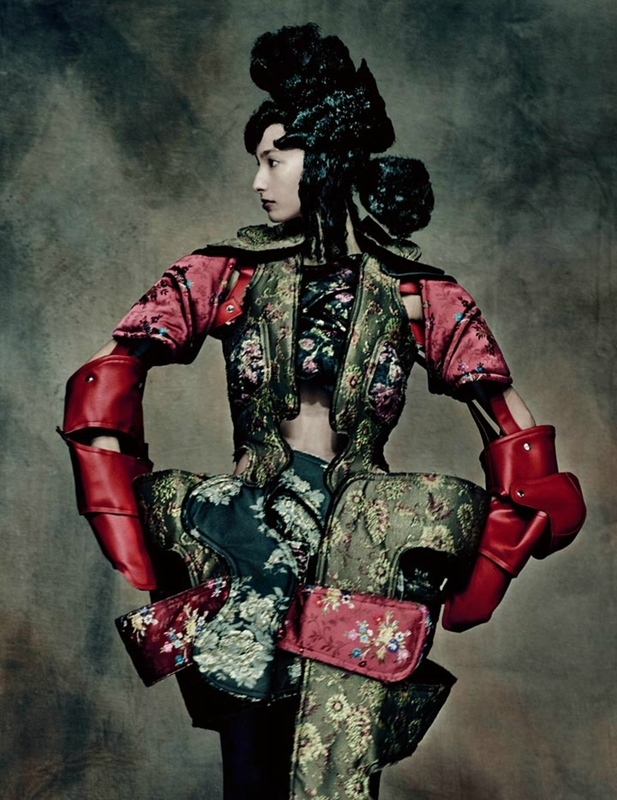 Rei Kawakubo (Japanese, born 1942) for Comme des Garçons (Japanese, founded 1969). 18th-Century Punk, autumn/winter 2016–17; Courtesy of Comme des Garçons. Photograph by © Paolo Roversi. 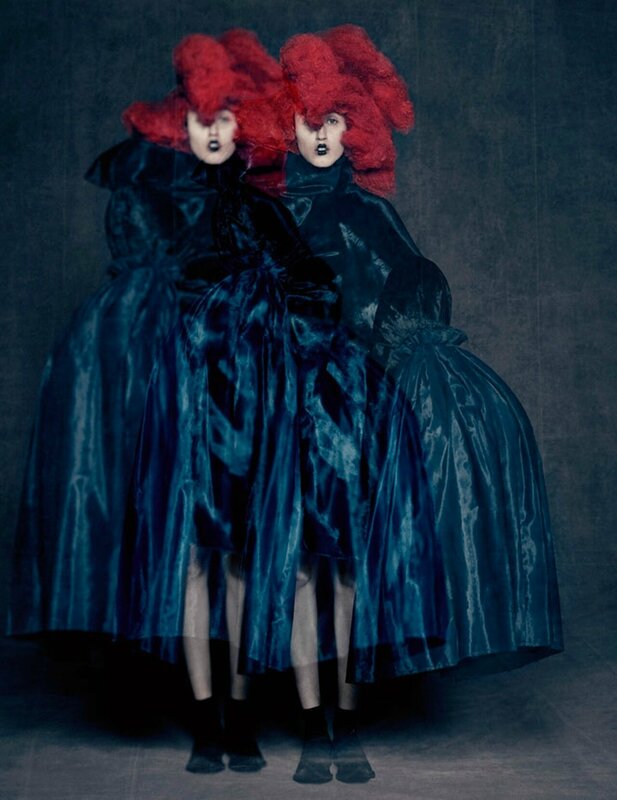 Rei Kawakubo (Japanese, born 1942) for Comme des Garçons (Japanese, founded 1969). Cubisme, spring/summer 2007; Courtesy of Comme des Garçons. Photograph by © Craig McDean. Rei Kawakubo (Japanese, born 1942) for Comme des Garçons (Japanese, founded 1969). Inside Decoration, autumn/winter 2010–11; Courtesy of Comme des Garçons. Photograph by © Craig McDean. Rei Kawakubo (Japanese, born 1942) for Comme des Garçons (Japanese, founded 1969). 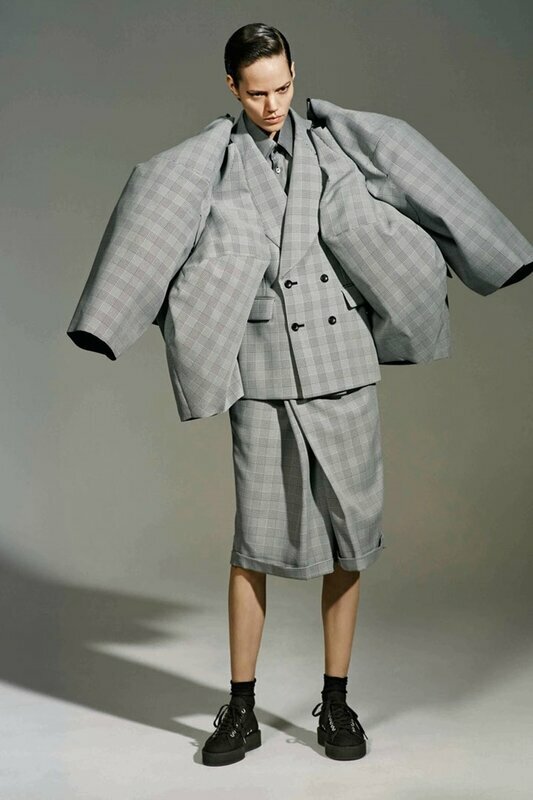 The Infinity of Tailoring, autumn/winter 2013–14; Courtesy of Comme des Garçons. Photograph by © Collier Schorr.